Your bathroom is a very important room. Most of your guests will visit this place. And, sometimes, they may spend some time in there. Along with this, it’s also a room that usually ages quite poorly. The extreme conditions that these rooms have to deal with can often make them decay faster than anticipated. Along with being incredibly important; your bathroom is also one of the hardest places in your home to renovate yourself. Installing toilets, baths, and tiles don’t fall into a lot of people’s skillsets. So, to help you out, this post will be going through exactly what you need to do to get your bathroom up to scratch. You should already have a good idea of what you want to do with your bathroom at this stage. To get help with design, use blogs and trade websites to find out what other people have done with their bathrooms. Sourcing the materials for this room will be a great challenge. A lot of businesses have different prices for their goods. And, this makes it hard to know which company is best. Usually, it’s best to largely ignore price. Instead, you should look up reviews of the options you have. And, only buy the ones that sit in the top three. Along with this, you also have to think about tools. Basic hand tools aren’t expensive. But, power-tools will cost a small fortune; if you’re not careful. Most people don’t realise that a lot of tools can be rented instead of purchased. This saves loads of money. And, it could even save you some time. Once you have the materials and tools for your work; you can start to break some ground. This will start by dismantling the parts of the current bathroom you wish to remove. Then, you can start getting on with the hard work. If you lack experience in laying tiles or painting walls; you might need to watch some guides on websites like Youtube to help you out. Use all of the resources you have available to get as much of this room handled by yourself as you can. You may struggle to install things like sinks and baths. But, you can get some help with that. When it comes to getting help with a room like this, it’s always best to go local. A plumber from your own area will be much easier to hold accountable; if anything goes wrong. And, it will be easier for you to find direct testimonials from people that you know and trust. You will probably have an idea of the companies around. But, talking to friends or neighbors that have recently had work done to their home could help you out loads. Having a professional do the work that you can’t do yourself will ensure that it’s always done to the highest quality. If you want your bathroom to last; it’s worth having someone who knows what they’re doing deal with it. 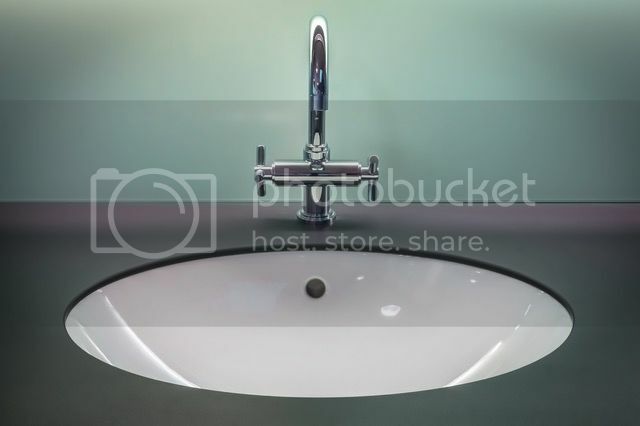 Hopefully, this will give you the inspiration you need to start working harder on your bathroom. This room is one that a lot of people use when they visit your home. And, it’s somewhere that you will spend a lot of time. So, it only makes sense that you should put time into it. Really such a great post. I love your work. Glad to blog your post. Thanks for your kind information. Keep it up. I tried doing some plumbing jobs on my own house but its just not really my thing. I contacted a local plumber and he got things done. Watching videos on youtube is nice but professional help is still the best. Thank you for sharing this! The bathroom is the essential part of the house and I am with you on this. I am grateful that you suggest this. Really it such an informative post. I’ve read so many amazing things about your article! I enjoyed reading it. I agree with you that a lot of plumbing tips for the bathroom can be learned on Youtube. Know your skill set and go from there.